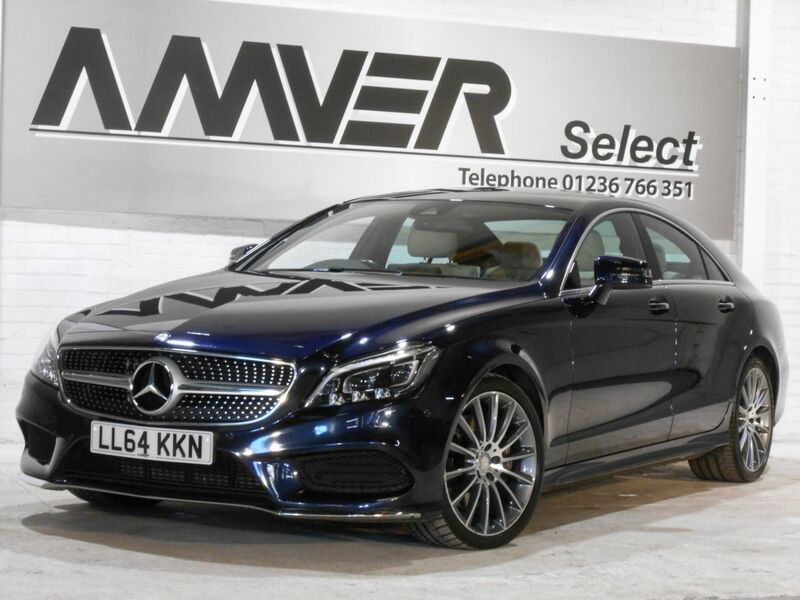 A well equipped and very attractive two-owner Mercedes CLS 350 AMG Line Premium in Cavansite blue metallic with Porcelain full leather trim & high gloss dark brown lime wood fascias. Great specification including the Premium Package which includes electric sliding glass sunroof, reversing camera with parking guidelines, fully electric front seats with 4-way lumbar support & triple memory and 'easy-pack' folding rear seats. 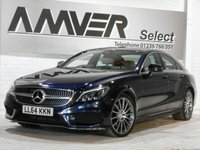 The AMG Line package adds AMG bodystyling with diamond grille, 19" AMG alloy wheels, interior ambient lighting, heated seats, Direct Control sport-tuned suspension, speed-sensitive power steering, multibeam LED intelligent light system with active cornering and COMAND Online with satellite navigation & internet functionality. Other highlights include DAB radio, Bluetooth, CD & DVD player, Linguatronic voice command system, cruise control & more. A stunning, perfect driving example, supplied with complete book pack, two keys, 40,000 miles & full service history. This car comes with six months Momentum Platinum Plus warranty so that you can drive away with total confidence knowing that you are benefiting from what is probably the best warranty cover available in the UK today. We have signed AA's Dealer Promise which means all cars are provided with a full history check, 12 months AA breakdown cover or member upgrade as well as other exclusive AA member benefits. Finance available with no deposit, subject to approval.